History: (Captain America Comics #6-12, Mystic Comics #10, Young Allies #3, ga) When Larry Scott's father was falsely accused of murder and sent to the gallows, Larry tried to prove his innocence, but ran out of time to do so. 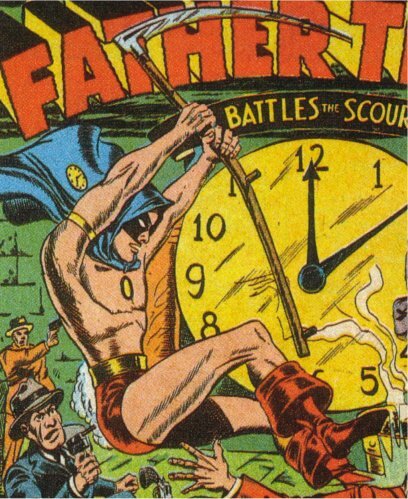 Afterwards, Larry swore to "make time work against criminals instead of the innocent", and created the identity of Father Time, a costumed crimefighter. Comments: Created by Joe Simona and Jack Kirby. 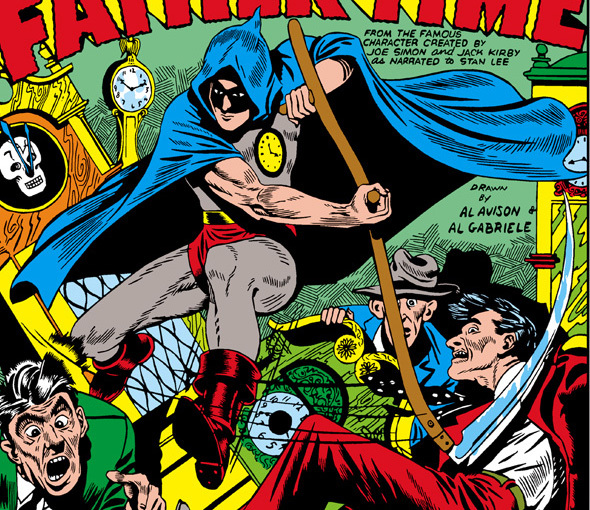 In Captain America #383, another Father Time turned up wearing a costume similar to this character. He was an Elder of the Universe who was fascinated with time - given that the Golden Age character has such a clear, normal origin, either this is another character entirely, or a major retcon. Father Time, Elder of the Universe who met Captain America in more recent times, and is probably a different character.